Is there a wine bar in Copan Ruinas? Up until recently, I would have said that was wishful thinking. 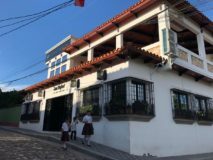 But after my recent trip to Copan Ruinas, I had a pleasant surprise when I came to visit the new Café San Rafael. 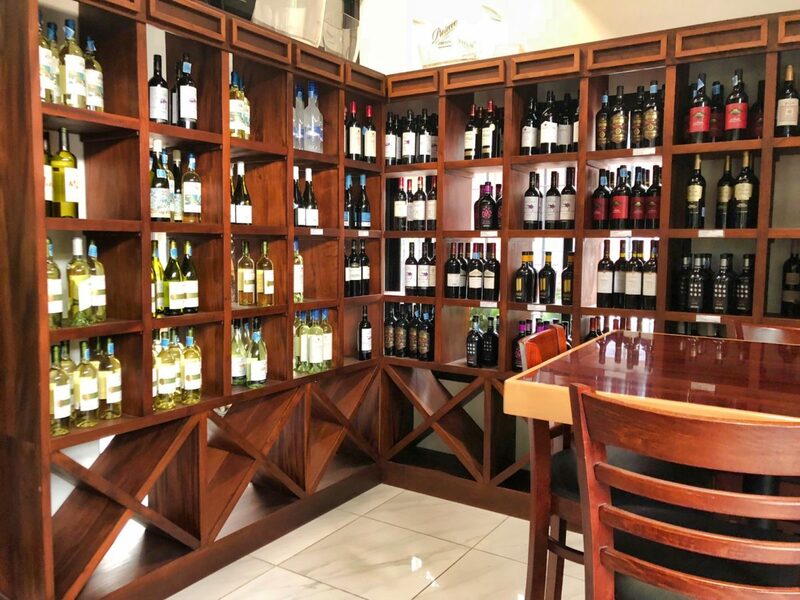 In addition to the outstanding coffee and awesome artisan cheeses that you can find there, I found that they are also a wine bar in Copan Ruinas! And a chic wine bar that is! A nice extensive wine list includes red and white wines from around the world. As a rule, in Honduras you find wines from Argentina and Chile. Seldom do you find Spanish, French, Italian or USA wines. So, you can imagine my surprise when I found that they have a selection that includes wines from all of the above-mentioned countries of origin! Best of all, the selection has reasonable prices and the setting is ideal to relax and enjoy a good glass of wine. And there are few better things to accompany a glass of wine that some good gourmet cheeses. For a moment, I thought I was in heaven! Fortunately, the earthly flavor of wine and cheese brought me back to reality. Not sure they have wine and cheese in heaven… but I truly hope they do! I might add that Carlos Guerra, the manager at Cafe San Rafael just one the Honduras National Barista Contest 2019 edition. Enjoy a cup of gourmet coffee prepared by his staff right here! The Café San Rafael wine bar and bistro is open daily from 8 am till 9 pm. You can choose between the indoors air-conditioned lounge or the outdoor garden setting. Both are ideal to enjoy in the company of friends and family. The upstairs has a nice private area that is the perfect venue for a private reunion. 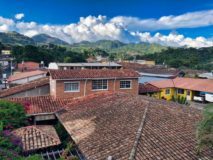 Again, you can choose between the air-conditioned second floor or the roof top terrace that offers a great view of Copan Ruinas. This is probably the best spot in town to see the splendid colors of a sunset in western Honduras. And there is no better company for this than a good bottle of wine. So now you know! If you are looking for a wine bar in Copan Ruinas, head out to the Café San Rafael Bistro. You will be happy that you did! « Rediscovering the Cuenca del Rio Cangrejal	» Another Migrant Caravan from Honduras?